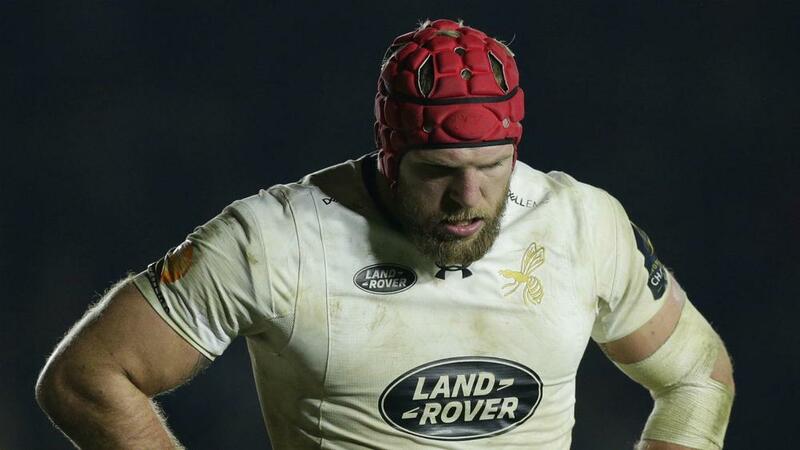 James Haskell will be unavailable for the first two rounds of England's Six Nations campaign after the Wasps flanker was suspended for four weeks. Haskell was shown a red card late in a 33-28 European Champions Cup at Harlequins last Saturday for a dangerous late tackle on Jamie Roberts. The back-row apologised to Roberts, but said he did not intentionally set out to hurt the Wales centre. Haskell faced a disciplinary hearing on Wednesday and was deemed to be guilty of a mid-range offence which would have resulted in a six-week ban, but was reduced due to his good disciplinary record, guilty plea and show of remorse. Eddie Jones names his England Six Nations squad on Thursday and if Haskell is included, he will be unable to face Italy and Wales, but would come back into contention to come up against Scotland at Murrayfield on February 24. A European Professional Club Rugby statement said: "The independent Disciplinary Committee consisting of Jennifer Donovan (Ireland), Chair, Rod McKenzie (Scotland) and Becky Essex (England), heard evidence and submissions from Haskell, who pleaded guilty to the offence, from legal representative, Richard Smith QC, and from the EPCR Disciplinary Officer, Liam McTiernan. Wasps' Head of Recruitment, Kevin Harman, was also present. "The Committee upheld the red card decision and as the tackle made contact with the head of the opposing player, it was obliged to find that the offence was at the mid-range of World Rugby's sanctions and six weeks was therefore selected as the appropriate entry point. "Taking into account the player's good disciplinary record, his guilty plea and early expression of remorse, the Committee decided to reduce the sanction by two weeks before imposing a suspension of four weeks." "Haskell is free to play on Monday, 12 February 2018, and both he and EPCR have the right to appeal the decision."